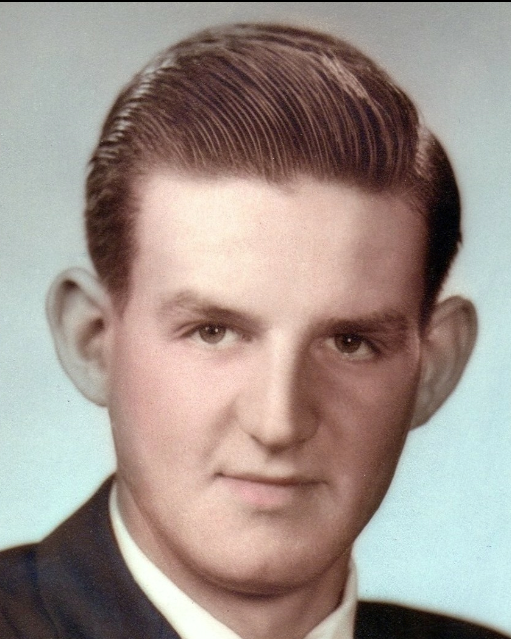 Wayne C. Webber, 83, of Southington passed away Tuesday January 22, 2019 at Hartford Hospital surrounded by his loving family. He was the husband of Rebecca (Rice) Webber whom he married on August 24, 1957. Wayne was born September 4, 1935 in Waldoboro, Maine, a son of the late William L. and Faith Sarah (Winchenbach) Webber and has lived in Connecticut since 1959. He was a 1954 graduate of Waldoboro High School where he was a star athlete, excelling in basketball. Wayne also enjoyed playing baseball and softball. He had worked as an electrical inspector at General Electric in Plainville, retiring after many years of service. Prior to moving to Connecticut, Wayne had worked in the fishing industry in Maine for several years. He was an avid bowler and was a member of the G.E. bowling league for many years. Wayne was a huge UCONN Women’s basketball fan, attending many games including several Final Fours. Along with his family, Wayne was a seasonal camper at Hidden Acres in Preston where he made many friends that he included as family. He also enjoyed family vacations in Maine on Damariscotta Lake and followed harness racing at several of the Maine county fairs. Wayne also enjoyed following greyhound racing on his laptop. But mostly Wayne loved spending time with his family who will miss him dearly. Besides his loving wife Rebecca, he leaves his son Timothy Webber of Walpole, ME, his daughters, Deborah Walls and her husband Michael of East Hartford, Sherry Webber and Elizabeth Maglio both of Bristol, his grandchildren, Sarah White and her husband Matt, Katherine Harris and her husband Brian, Samantha Webber and her companion Domo, Tyler Webber, Jacob Maglio, Emily Maglio and Joseph Maglio, III, his great grandchildren, Anabel Webber, John Wayne Harris, Jackson Webber and Rebecca Harris. He also leave several nieces and nephews and many close friends and family members in Connecticut and Maine. Wayne was predeceased by his brother Peter Webber and his sister June Wooster. Family and friends may gather at the Bailey Funeral Home 48 Broad Street in Plainville, CT on Saturday January 26 from 1:00 p.m. until 3:00 p.m. Words of remembrance will be shared at 3:00 p.m. Burial services in Maine will be celebrated at a later date. In lieu of flowers memorial contributions in Wayne’s memory may be made to the American Cancer Society 825 Brook Street Rocky Hill, CT 06067.